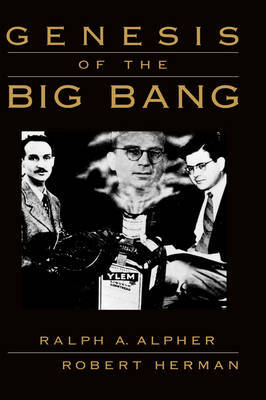 The authors of this volume have been intimately connected with the conception of the Big Bang model since 1947. Following the late George Gamov's ideas in 1942 and more particularly in 1946 that the early universe was an appropriate site for the synthesis of the elements, they became deeply involved in the question of cosmic nucleosynthesis and particularly the synthesis of the light elements. In the course of this work they developed a general relativistic model of the expanding universe with physics folded in, which led in a progressive, logical sequence to our prediction of the existence of a present cosmic background radiation some seventeen years before the observation of such radiation was reported by Penzias and Wilson. In addition, they carried out with James W. Follin, Jr., a detailed study of the physics of what was then considered to be the very early universe, starting a few seconds after the Big Bang, which still provides a methodology for studies of light element nucleosynthesis. Because of their involvement, they bring a personal perspective to the subject. They present a picture of what is now believed to be the state of knowledge about the evolution of the expanding universe and delineate the story of the development of the Big Bang model as they have seen and lived it from their own unique vantage point.